Message from the Chair - Why don’t we have more rooftop solar in Georgia? With 2019 dawning, speculation has risen about why the largest state East of the Mississippi has not supported its solar industry as proactively as some of its surrounding states. In 2013, interest in solar surged in Georgia primarily because of support from the PSC and Georgia Power. That support provided amazing economic benefits for the state as the nation emerged from its most painful recession since the Great Depression. The investment and job creation provided by the growing solar industry brought long-needed relief to many hard-hit parts of the state, putting Georgia on the map as a viable solar market. The lion’s share of credit for this economic boost goes to the elected members of the PSC. Those commissioners, led by the vision of Commissioner Lauren “Bubba” McDonald, crafted programs that have served our state well. Starting with the Advanced Solar Initiative (ASI) and evolving into the REDI program, solar initiatives such as these created a well-deserved enthusiasm for the benefits of solar and helped debunk many myths that previously hindered solar adoption. How can solar energy help my community? The Georgia Solar Energy Association invites students in Grades 6 – 10 to enter the GA Solar Essay Contest. This year’s topic: How can solar energy help my community? Must be able to attend and read essay at the 2018 GA Solar Holiday Luncheon on December 13, 2018 at Mason Fine Arts Center with a parent/teacher/guardian. Deadline for submission is DECEMBER 5TH, 2018 at noon. The winner will be contacted on December 7, 2018 and will be invited/required to read his/her essay at the GA Solar Holiday Luncheon on December 13, 2018. Winner will also receive a cash prize. All essays become the property of GA Solar and cannot be returned. Essays will be judged using the rubric provided. 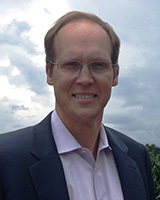 Message from the Chair - 10th Anniversary Southern Solar Summit! Tariff-ed out? Let’s talk about the 10th Anniversary Southern Solar Summit! Yes, I agree. Concerns about the potential effect of tariffs on imported cells and panels seemed to dominate every solar conversation over the last year. We have all become a bit numb to talk of cost effects and a possible damper on growth. So, now the time has come to talk about the future of Solar in Georgia. We have a lot going on. What better way to get a plethora of information in one day regarding key topics on the current and future of solar than a day with fellow solar professionals and advocates? Along with new trends in Georgia at our 10th Anniversary Southern Solar Summit on October 25th at the Carter Center, we will have discussions of national trends. This is our second Summit at the historic, solar-powered Carter Center. 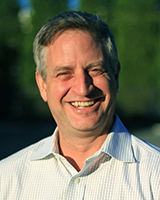 Russell Seifert Chairman's Remarks - "GA Solar Elects a New Chair"
These are exciting times in the solar industry. Ten years ago, in 2008, the cost of a solar panel installation was $8.82 per watt. The solar industry today looks very different: in addition to solar panel efficiency increasing dramatically, solar panel producers have significantly improved their manufacturing processes. Solar installers, too, can deploy solar PV across the United States more efficiently now than they could 10 years ago. The result: the price of solar has fallen by over 60 percent, to just $3.14/watt. This market has followed the pattern of Moore’s Law in the computer and semi-conductor industry. 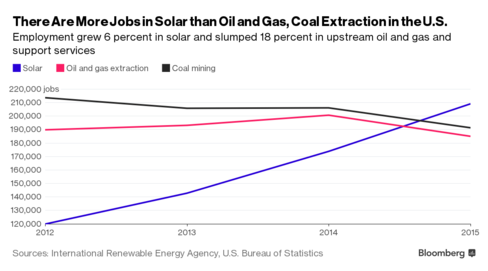 Solar energy is creating more jobs than any other sector of the economy. Plus, energy storage is becoming more mainstream. Homeowners and business owners alike see the “Real Value” in a sustainable product that lasts longer than most other investments they make in their lifetime. Last year, GA Solar joined with other stakeholders in successful negotiations with Central Georgia EMC to alleviate punitive and discriminatory fees aimed exclusively at solar customers. Since then, our members and their customers have encountered similar charges in other locations throughout the state. Growing numbers of homeowners and businesses are looking for cleaner, and more economical, energy resources. As they do, these practices are increasingly coming into question, even as they quietly discourage local economic development. In my own work helping communities organize cost-saving, bulk-buying Solarize programs, I have encountered difficulties in the cities of Covington and Oxford, GA, for example, where some residents would like to organize a Solarize Newton County initiative. The City of Oxford operates its own power utility, which charges solar customers an additional $11.15 per kilowatt of installed solar per month on their electric bill. This means a solar customer with a 5 kW solar array would pay an additional $55.75 every month on their power bill before they use a single watt of electricity. This discriminatory charge clearly presents a daunting barrier to any consideration of solar adoption by residents and businesses in Oxford. The Georgia Public Service Commission: Why Your Vote Matters! Two seats on the five-member Georgia Public Service Commission are on the ballot this year. So, what is the Georgia Public Service Commission or “PSC”? 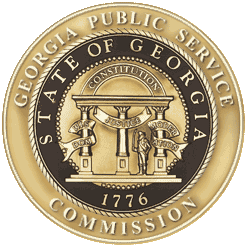 The Georgia Public Service Commission (PSC) is the governing body that regulates the rates and services of “public utilities” in the state, including telecommunications, electricity (meaning our Georgia Power bills) and natural gas. Current PSC Commissioners include H. Doug Everett, Commissioner, District 1; Tim Echols, Vice Chairman and Commissioner, District 2, Chuck Eaton, Commissioner, District 3, Lauren “Bubba” McDonald, Jr., PSC Chairman and Commissioner, District 4 and Patricia Pridemore, Commissioner, District 5. As a nonprofit, the Georgia Solar Energy Association (GA Solar) cannot recommend any specific candidate. However, we urge Georgia residents to do your homework! Your vote matters! Georgia has some of the lowest utility rates in the nation. However, that is about to change. Electricity rates are set to resume a historic rate of increase over the next six years. Two seats on the five-member Georgia Public Service Commission are on the ballot this year. So, what is the Public Service Commission or “PSC”? The Georgia Public Service Commission (PSC) is the governing body that regulates the rates and services of “public utilities” in the state, including telecommunications, electricity (meaning our Georgia Power bills) and natural gas. Now is Still the Best Time to Go Solar! In spite of President Trump’s 30% tariff, now is still the best time to go solar! The cost of solar has come down 70% since 2010 and there is a 30% tax credit available to help reduce the upfront cost. As you can see in the chart above, the tax credit will phase out entirely for homeowners in 2023 and level out to 10% for businesses. 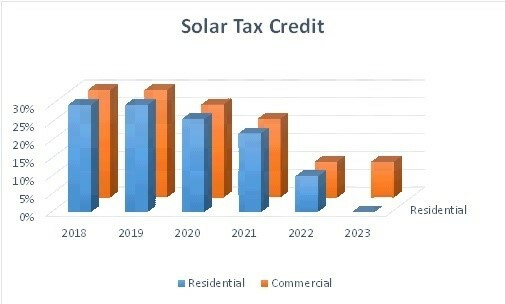 So, if you are considering going solar anytime in the next few years, and you want to maximize the use of the tax credit to reduce the upfront cost and your tax liability, you will want to purchase and install sometime before the end of 2019 to get the full 30% tax credit. Looking back on 2017, the solar industry has confronted a challenging year from the local to the national level. We are waiting to see if President Donald Trump will impose the International Trade Commission’s recommendations for tariffs on imported panels and modules. Currently, the President has until January 26 to make his decision. While the recommendations are less punitive than Suniva sought in its petition to the ITC, the effect of these tariffs would still be a serious blow to the jobs and investment the solar industry has created in the U.S. Tariffs also would inhibit the investments that bring needed revenues to many economically underserved Georgia communities and the control solar offers many Georgia consumers for their energy consumption. The solar industry is facing its greatest threat to date. So, the time couldn’t be more perfect to gather and recommit to what protects our vitality in the market. Unquestionably, the recent ruling from the International Trade Commission that imported solar modules have caused injury to domestic manufacturers could end up imposing a painful new burden on our thriving market. A forty-cent increase in the cost of modules, for example, would erase the gains made in recent years by increasing the cost of utility-scale solar by about 25%, C&I market 20%, and residential market 15%. But no tariffs are in place yet, and time remains to mitigate the harm that this misguided action could have on our state, cities, industry, and thousands of working family jobs and welfare. In short, we can hope for the best but we should prepare for the worst. “The thriving solar industry is sure to suffer the loss of as many as 2,000 good, local jobs in Georgia and more than 88,000 nationwide if tariffs are imposed on imported panels as a result of this decision. This will be far more damaging to a growing economic sector of the state’s economy than the jobs lost in Suniva’s bankruptcy. At a time when citizens, elected officials and utilities in Georgia demand more clean energy solutions, this decision will potentially disrupt established supply chains and erase years of progress that has made solar power the cost-effective clean energy solution it is today. We at GA Solar will continue to fight against tariffs this decision may bring. We hope that state leaders, including Sen. Johnny Isakson, Sen. David Perdue and our Georgia congressmen, will join us in urging President Donald Trump not to adopt tariffs that will throttle a growing domestic industry and the jobs it has created. For more information and contact information, visit www.gasolar.org. Back in November, solar professionals realized we were in for a period of uncertainty. What we didn’t expect was that the greatest threat would rise from within our own industry. On August 15, the International Trade Commission (ITC) heard testimony on a petition filed by bankrupt Georgia panel manufacturer Suniva asking the commission to recommend the imposition of steep tariffs on all panels imported to the U.S. The tariffs would roughly double the cost of panels to the U.S. solar industry. The Solar Energy Industries Association (SEIA) has been joined in opposition to this request for tariffs by a wide range of political and financial interests. All of these pro-solar allies, including the conservative Heritage Foundation, want to protect the more than 250,000 solar jobs and billions of dollars in solar investment that are threatened by this petition. The continued health of the U.S. solar industry depends on access to low-cost components, many of which come from foreign manufacturers. In a case now pending before the International Trade Commission, that access is threatened. 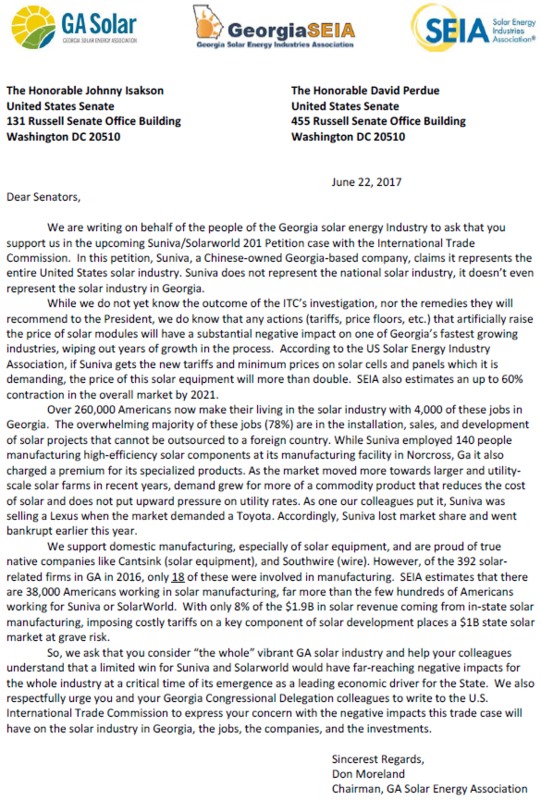 The letter below, jointly drafted by Georgia's solar nonprofits and the national solar trade organization, outlines the implications of the ITC case and its devastating potential effect on the growing solar industry. Because the case was initiated by a Georgia company, opposition from the solar industry in Georgia can do a great deal to prevent the imposition of pricing premiums on the solar components we all rely on to make our projects viable. WE NEED YOUR SIGNATURE ON THIS LETTER. 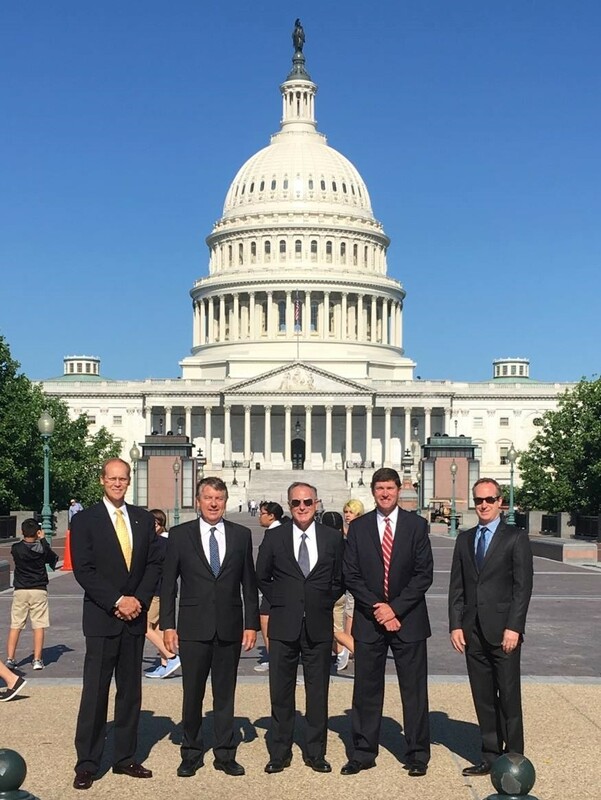 A delegation of solar professionals will be traveling to Washington this month to deliver the letter and its signatures to our Georgia Senators, Sen. Johnny Isakson and Sen. David Perdue. Sign it today and show your support. Your future business prospects may be hanging in the balance. With Georgia’s solar market ranked 4th in the U.S. and job growth up 23% in 2016, solar is on the move in Georgia. Now a new solar bill (HB 431) aims to remove barriers to rooftop solar, protect consumers, and unlock the free-market potential of solar promising continued growth for years to come. GaSEIA is pleased Representative Buzz Brockway introduced HB 431, which ensures customers’ right to manage their electric bills with onsite solar and ensure that solar customers are not subject to extreme and unjustifiable costs. HB 431 will improve the outlook for distributed generation (rooftop) solar, create thousands of jobs, protect consumers, promote economic development, and increase Georgia's energy security. HB 431 makes commercial system size limits more reasonable in light of economic and technological changes since the Co- Gen Act was passed in 2001. Importantly, the legislation does not preclude utility fees but provides that customers have notice before fees are imposed and that such fees are not just and reasonable. This is important because customers need more transparency to make informed decisions about whether or not to install solar. 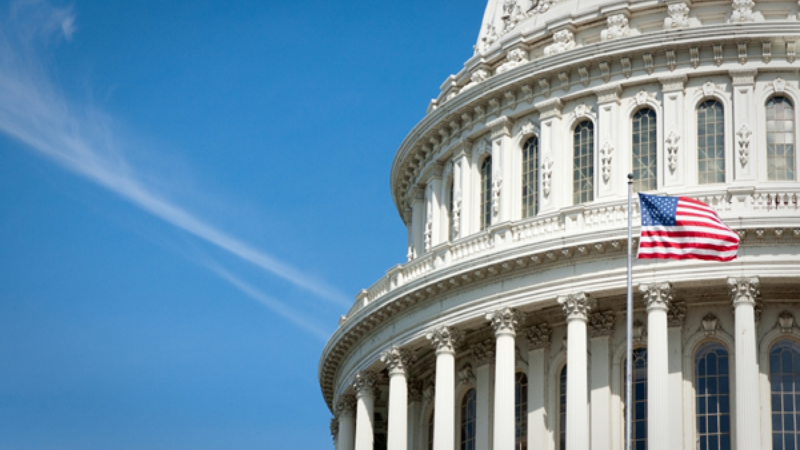 This legislation follows a special subcommittee hearing and report of the House Energy Committee in the fall of 2016. President-elect Donald Trump's victory in the November 8 election was a sobering event for all of us in the solar industry. During the campaign, Trump repeatedly expressed his disdain for renewable energy and solar in particular. He has persistently promised to increase government support for coal and other fossil fuels and eliminate programs that encourage solar adoption. Like you, I am disappointed in the incoming president's uninformed dismissal of solar's potential. This consciously denigrates the significant solar investments worldwide and the solar industry's 200,000+ American workers, more than all fossil fuel extraction combined. Clearly, an enormous challenge awaits our industry over the next four years as we work to hold onto our recent gains and find new opportunities for growth. The new president will have a Republican majority in both houses of Congress. This gives him almost unlimited opportunity to enact the policies that reflect his views and repeal those that don't. Among other things, the recent extension of the ITC may be affected. Florida's deceptively worded Amendment #1, which would have allowed that state's utilities to impose punitive charges on solar customers, was defeated. That vote underscores the ongoing popular support solar enjoys across political lines. Here in Georgia, we are lucky to have our solar-friendly Public Service Commission, especially Republican Commissioner Bubba McDonald. The PSC's work and support has created a robust solar market in Georgia without mandates or incentives at the state level. This point is very important, because the authority to determine energy policy lies primarily with state government. Our Republican majority legislators have demonstrated that they are open to commonsense solar-friendly policies. They understand a robust solar market helps create good jobs and long-term investment with no upward pressure on utility rates. In the current political environment, however, educating elected officials and the public about the economic and environmental benefits of solar has never been more critical. And that is what GA Solar does best, in cooperation with a wide range of stakeholders. We communicate most effectively when we speak together. The cost of solar is now at grid parity with other fuel sources at utility scale. Costs are projected to come down further over the next five years. Storage technology has arrived and is rapidly improving making solar plus storage a 24/7 generation technology and a clean alternative to traditional energy resources. Consumers have a financially viable choice of how they generate and consume energy and consumer choice is a bedrock principle of Georgia's historic property right tradition. The electrification of the transportation sector will require more capacity to be added to the grid. Because solar is Georgia's #1 source of domestic energy production and at grid parity, solar should play a significant role in additional capacity moving forward. Policymakers recognize that solar creates jobs, promotes economic development, and increases Georgia's energy security and independence. This is the biggest opportunity for innovation in generations. Georgia can become a leader in the emerging solar market, creating thousands of jobs and lucrative economic investments that will benefit communities statewide for decades. Your continued support for GA Solar is essential to this mission. We are feeling especially grateful at this moment for the support we have had in these years of enormous progress. We hope you will continue your contribution to enable us to meet the challenges ahead. Let's join hands with all our solar allies and stakeholders, including consumers, environmentalists and trade organizations, to focus our efforts on tangible goals such as getting a fair value for solar (known as the Renewable Cost Benefit framework (RCB) currently before the PSC) and eliminating barriers to intended use of HB 57 contained in the Co-Gen Act. And, let us hear from you on what you think we can do to keep solar strong in Georgia.